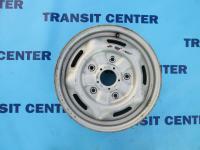 Ford Transit MK6 wheels nut these are elements of category: wheel and rims for Ford Transit. 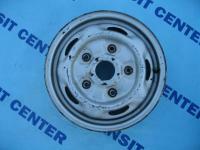 Ford Transit MK6 wheels nut these are elements of category: wheel and rims for Ford Transit. 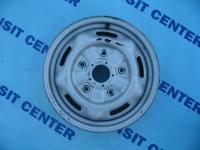 We own a wide offer of the suspension system for Ford Transit MK6 model, such as the rims, the hubcaps and the nuts. This extremely popular van was designed according to the latest world standards. Although the most popular, as usual, it enjoys in Europe. It’s worth to mention, that in 2001 Ford Transit won the prestigious title ‘Van of the Year’. On the other hand, it wasn’t a big surprise. The sixth generation of this model were equipped with many of the drive units, a.o. very successful 2.4 TDDI in few variants of power. In that case, it doesn’t come to the engine, but the suspension system, and more specifically - it’s the most important element: the wheels and rims. In our internet shop is available for example, the steel wheel in different kinds, suitable for an individual variants nut or the hubcap fits Transit. Of course, if some searching product is currently missing, we try to bring it – please, contact with us by e-mail.